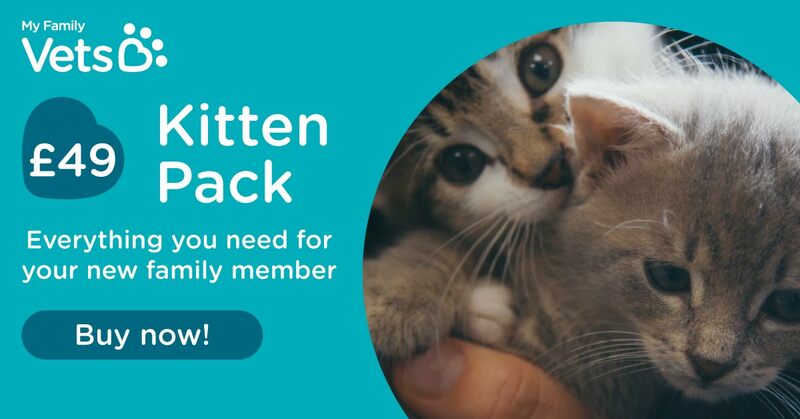 Getting a new cat or kitten is an exciting time for you and your family – congratulations! You’re sure to have questions about the best way to introduce your new cat, and help them settle in to their new home quickly. Here’s our advice for welcoming a new cat or kitten to your home. Cats are sensitive animals, especially when it comes to changes in their environment, and will need a gentle introduction to their new home. Moving can be stressful for your cat, and it may take a few weeks for them to feel completely relaxed and safe. Give your new cat or kitten plenty of quiet space and oodles of patience while they’re settling in. Set aside separate areas for food and water. Provide a litter tray for each new animal – cats don’t like to share – and always keep this far away from their food and water. Give your new cat a safe, comfortable place to hide if they want to be alone, and a high up spot where they can survey their surroundings. Cats rely heavily on their sense of smell, and settle more quickly if their new home smells familiar. Your new cat or kitten will adapt more easily to their new home if they have something that smells of their previous environment, such as a blanket, soft toy or cloth. It can help to take this familiar object with you when you pick up your new cat or kitten, as the familiar smell will help keep them calm while you travel. Set up at least one safe, comfortable area where your new pet can sleep. Provide at least one scratching post – particularly if you value your carpet or sofa. Cats like to mark their territory... those claws have to be sharpened somehow, and preferably not on your furniture! Choose a few cat toys they can play with. Kittens are especially playful, and will enjoy chasing a feather or a straw fish tied to a stick, for example. Teach your children the right way to stroke your cat or kitten. They’re sure to be enthusiastic to meet their new pet, but their excitement can make your cat or kitten anxious – and a stressed-out cat may scratch in self-defence. Pheromone sprays and plug-ins such as Feliway can help to calm an anxious cat by releasing hormones that have a calming effect. Ask your vet for advice. If you’re introducing a new cat or kitten to a home where you already have pets, it’s especially important to give your new pet their own space – ideally in a quiet, separate room away from other animals. Before introducing your cat to another pet, take time to introduce each other’s scent. Your vet will advise on the best ways to do this. Once your cat realises they’re not in competition for food or a place to sleep, they’ll quickly learn to tolerate one another and, in many cases, become good friends. Never leave pets together unattended until you’re sure they’re secure and happy in each other’s company. Your new cat will need time to discover and get used to their new surroundings. Making a gradual introduction is the best way to ensure a happy pet. Need advice on introducing a new cat? For more information and advice on the best ways to introduce a new cat or kitten to your home, visit your local vet. To find your nearest recommended vet or pet clinic, use our Find a Vet page.